Atomos products line up will help to add professional features like recording, instant playback, monitoring and editing functionality. That's not found in many cameras. It's easy to setup to enable function's faster, high quality and with the introduction of HDR feature in the new products line up will help to add professional features like recording, instant playback, monitoring and editing functionality. That's not found in many cameras. It's easy to setup to enable function's faster, high quality and with the introduction of HDR feature in the new Atomos recorder, filming and recording is much easier than before recorder, filming and recording is much easier than before. Video recording, editing and monitoring has never been easier before. Merging the varied functionalities to come up with super clear videos has never been one of those easy things. However, with Atomos, it is easier done than said., it is easier done than said. Atomos comes with user friendly, high-end, and innovative video recording and monitoring solutions. It condenses all these functionalities into something incredible; one in all multi-touch device. Ideally, there’s no better way of making the most out of the video recording moments than using comes with user friendly, high-end, and innovative video recording and monitoring solutions. It condenses all these functionalities into something incredible; one in all multi-touch device. Ideally, there’s no better way of making the most out of the video recording moments than using Atomos devices. They give the perfect definitions of elegance, class, credibility, and affordability. Ideally, you have everything bundled up in one device! One aspect that most professional would agree about is clarity when it comes to video recording. It is easier for the Camera Log to deliver clear and fascinating sensor details during recording. However, the same is not exhibited when the same recordings are displayed on monitors. What come out are faded and unclear videos. It does not have to be the same again. You do not have to compromise on video quality when there is an easier way out. Go for AtomHDR; it’s the perfect solution to the fog woos. One amazing aspect is that it has the ability of perfectly displaying HDR log footages; enabling you to observe the Log footages, the same way the eyes see it. The newly launched Flame Ninja makes video recording more enjoyable and fascinating than ever before. 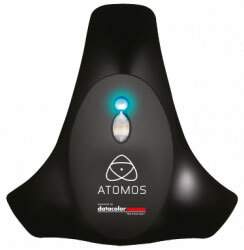 It boasts of 10-bit 4:2:2 ProRes/DNx specifications. Also, it also comes with other advanced video recording functionalities that are not evident in other types of recorders. This makes, it unique, admirable and worth having. It serves you with an opportunity of converting interlace video from your camera to progressive through the built in pull down system. You couldn’t have deserved anything less than this. The Ninja Fame also presents you with a perfect opportunity of recording a clear video externally; a feature that’s not found in the common video recording devices. Most importantly, it comes with an increased internal recording capacity. With so much video recording devices to choose from, you might end up being spoilt for choices. However, that ought not to be the case. You have every reason to go for nothing short of the very best. Atomos offers extraordinary professional video recording solutions in an amazing and captivating way. The choice you make should majorly be influenced by the kind of work in mind. 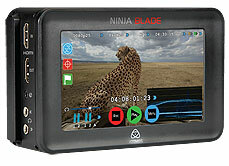 For the best quality video recording experience, go for the newly launched Ninja Flame or Ninja Star video recordings. You will have something to be proud of at the end of the day. offers extraordinary professional video recording solutions in an amazing and captivating way. The choice you make should majorly be influenced by the kind of work in mind. For the best quality video recording experience, go for the newly launched Ninja Flame or Ninja Star video recordings. You will have something to be proud of at the end of the day. The portable shogun Inferno is yet another worthy choice worth making. The simple OS it comes with makes it user-friendly without compromising on the quality functionality. You can purchase the blade series of on cameras that are available at different outlets all over the world. 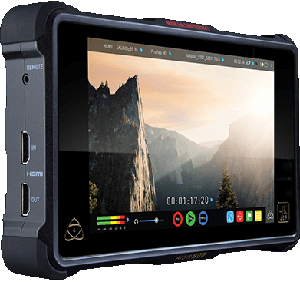 Make that incredible choice today and go for the latest Atomos Video Recording device; you’ll be certain of getting real value for your money! Video Recording device; you’ll be certain of getting real value for your money! 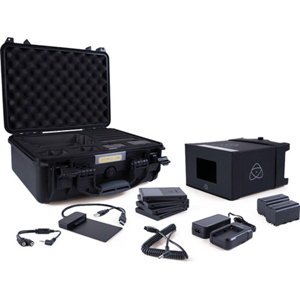 Authentic Atomos video recorders and associated accessories can be accessed worldwide through Authorized video recorders and associated accessories can be accessed worldwide through Authorized Blackbelt Resellers. From the numerous outlets and stores globally, you will be able to get the most out of the incredible offers that come with these innovative products. Remember, every Atomos device in custody gives you real value for your money. Make professional video recording easier and more enjoyable than ever before by acquiring the device in custody gives you real value for your money. 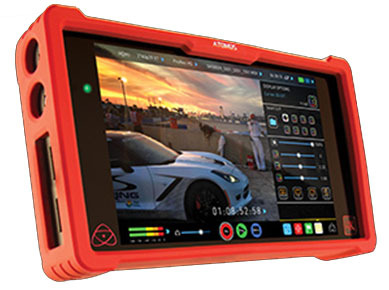 Make professional video recording easier and more enjoyable than ever before by acquiring the Atomos HDR today. The best memories are captured in lenses. For professional photographers and video producers, the best moments are those spent capturing the tiniest of details under powerful lenses. The experience gets better when you have the right machine in place. It is true that there exist multiple recorders and monitors in the market; a long list you can possibly choose from. However, it is also evident that not all of them can guarantee you the professional quality of videos and images you requires. That leaves you with only one option; going for the best. 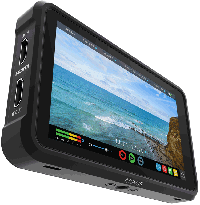 In our quest to make the process easier, we put together a list of top 5 top Atomos recorders and monitors. For someone who wants a different experience when it comes to shooting with Log, this is the ultimate choice. Use Ninja Flame’s HDMI input to record in HD or 4K. With 10-bit color processing capabilities, you can now monitor HDR log with clear, natural colors. It is fair enough to agree that not all scenes require HDR Log recording. In such cases, you can take advantage of this gadget’s 1500nit panel in monitoring traditional standard dynamic range video. All you need to do is picking the right mode, either High Bright SDR or HDR. This product comes with a combination of high capacity media and direct recording from the sensor. That sweeps away the 30min barrier evident in several cameras. The Ninja flame also presents you with the opportunity of recording professionally, capturing the finest details of individual frames. For a market price of less than US$800, it is a professional companion worth investing in. Those who have used it will admit one thing; there is no better way of unlocking Hollywood recording and monitoring from any HDMI device than using Ninja Inferno. It beats the internal recording barriers of most monitors. It explores the camera’s full dynamic range, color resolution, and color accuracy. If you need a perfect combination of audio, video, and power that will not let you down, you have it covered in this design. Ninja Inferno displays an array of connectivity ports including HDMI 2.0 and HDMI output. For professionals, Ninja Inferno puts you ahead of the curve with HDR at 4KP60. It also delivers the perfect experience for 709outdoor shooting. To guarantee media flexibility, you this machine give you an opportunity of choosing the SSD that perfectly suits your workflow. The shortest way to get ahead of the log curve is through Shogun Flame. This Atomos product presents you with the chance of shooting what you see. With this, it is possible recording original log image direct from the sensor. Shogun Flame comes with a flexible compatibility of various cameras up to 4KP30. It has built-in bi-directional conversation allowing HDMI cameras to be incorporated into HD workflow. With Shogun Flame, you can now record HD and 4K videos the seamless way. The higher pixel density of 4K makes it possible to record efficient and precise 4:2:2-color encoding. The simples OS exhibited by Shogun Flames doesn’t prevent it from capturing sophisticated shots. The super-fast charging capabilities means you now have little to worry about as far as power is concerned. Is provides the perfect blend of the high bright monitor, HDR, and unmatchable resolution. Specifically, it is designed for leading cinema cameras with capabilities of recording up to 4K 60p videos. Enhanced connectivity is achieved through HDMI 2.0 connections and QuadLink SDI. The complicated image processing capabilities ensure you shoot in high brightness while maintaining the vibrant colors. As opposed to the standard 8-bit panels capable of resolving up to 16.7 million colors, this 10-bit panel promises 1.07-color resolution. With Atom HDR engine, you are assured of perfect exposure in the field. Shogun Inferno brings home quality HD 240P and 4K 60P recording. Thanks to its advanced recording capabilities, you do not need a separate audio recorder. 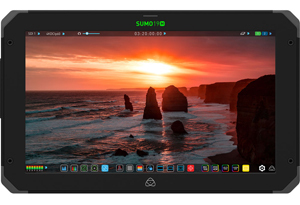 Atomos Sumo is probability the latest entry in the long list of quality monitors produced by the company. 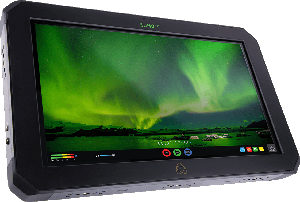 It is suitable for use as both HDR grading monitor and client/director monitor. The machine boasts of the 1200nit backlight for outdoor viewing. It provides the freedom of flicking between SDR and HDR signal treatments. You need to worry less about power problems since it is possible to hot-swap batteries. Audios and videos come in XLR and quad link SDI inputs. It also comes with a variety of build in scopes including speakers and headphone jack. In order to have a view of the possible image after post-production, you can map Gamma or log curves on the screen. 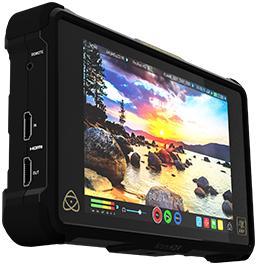 Atomos Sumo is expected to be released in the 3rd quarter of 2017 with its price set at USD 2500. It might not be comprehensive, but this list undoubtedly presents some of the best choices of Atomos recorders in the market. Opt for one and buy your ticket for professional video recording and monitoring experience.
" The main product, not including TFT/LCD or external accessories, will be free from defects in materials and workmanship for a period of 1 year from the date of purchase. 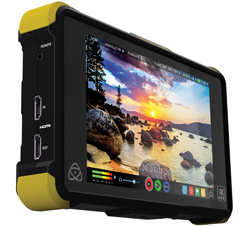 The user may upgrade to a 3 year warranty upon registering their product at www.atomos.com/registration "
Atomos is offering an instant cash back offer on Shogun Flame, Ninja Flame, Ninja Blade and Samurai Blade models of Monitor / Recorders. The offer will commence from 15th Nov 2016 to 31st January 2017.is offering an instant cash back offer on Shogun Flame, Ninja Flame, Ninja Blade and Samurai Blade models of Monitor / Recorders. The offer will commence from 15th Nov 2016 to 31st January 2017. 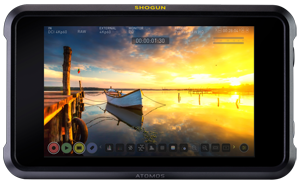 After the promotion, is Atomos going to launch new going to launch new Atomos Shogun Flame 2,Shogun Flame 2, Atomos Ninja Flame 2,Ninja Flame 2, Atomos Ninja Blade 2,Ninja Blade 2, Atomos Samurai Blade 2 and other new recorder and monitor models? Samurai Blade 2 and other new recorder and monitor models?